The Ultimate Back Office Utility! 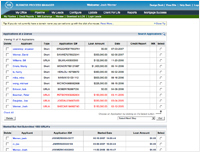 Your Private Online Business Process Manager (BPM) is included with the Virtual Lender® Website System. 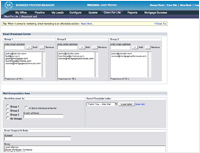 Think of it as your "Back Office" to your Virtual Lender® system. 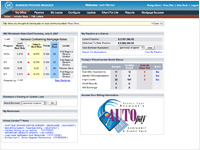 This powerful tool is used to configure your site, administer your online applications, assist with the pre-qualification process provide you with rich marketing resources and tools and connect your data directly to industry resources such as credit report and investor tools for loan pricing locking and comparison. 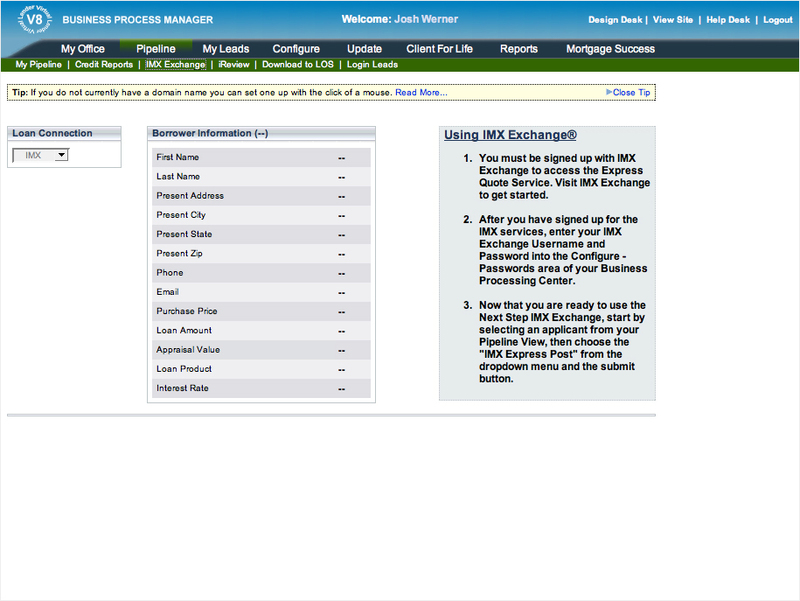 Your "Dashboard" page displays the day's national average wholesale mortgage rates (Via IMX Exchange) and gives you a snapshot of your Virtual Lender® business. 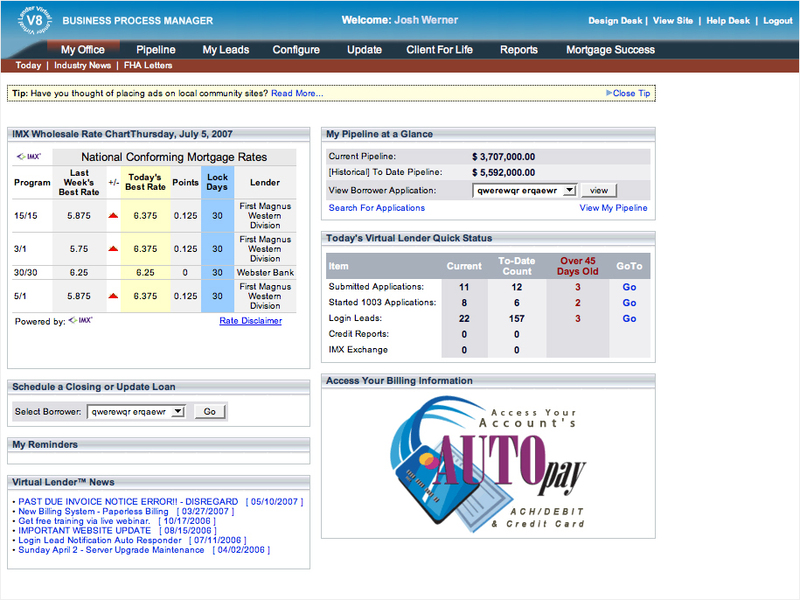 From your My Office page you can View your quick stats, Schedule a Closing or Update a loan, compare market charts, view daily reminders, read product news and industry news, and much more! 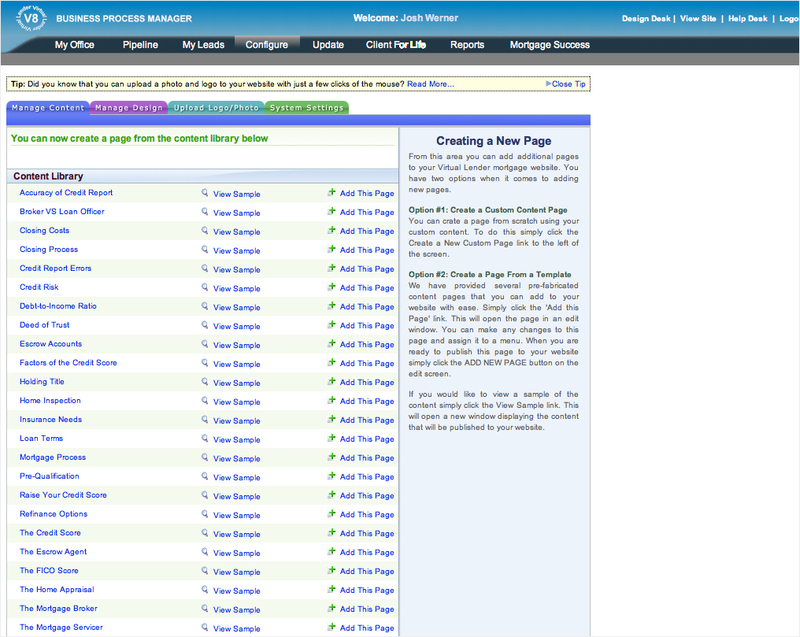 Using the design desk within your Business Process Manager you can update your site with a new website design as often as you like! 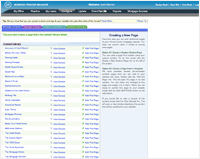 Choose from hundreds of interchangeable site combinations or choose to use the mini-custom design style and upload your own images for that "Unique one and only look". The design desk gives you the flexibility to instantly modify your design at no additional cost or time to you. We hear that this is a fun tool! 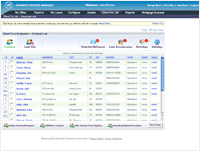 Retrieve applications, generate IMX Exchange Quick Quotes, download applications into your processing software, pull borrower credit, update a borrowers loan and more. 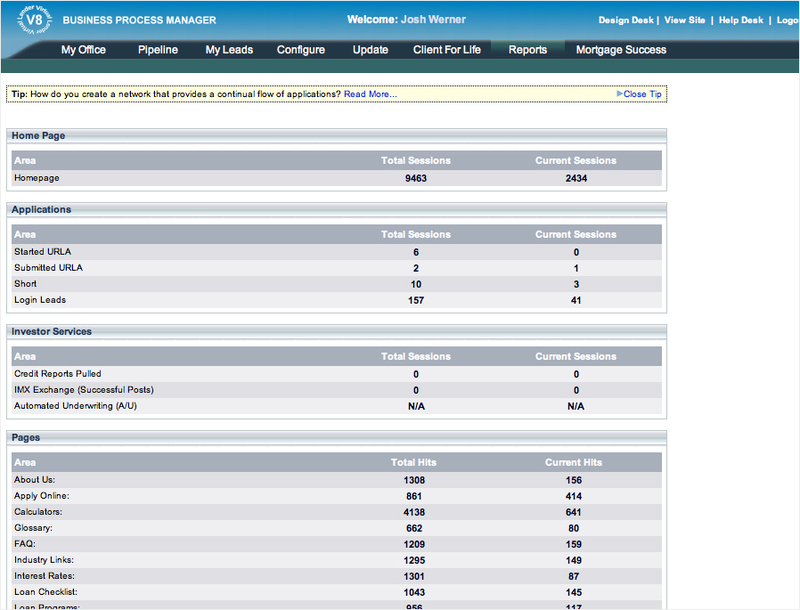 Manage your entire online pipeline from this one location within your BPM from anywhere in the world. 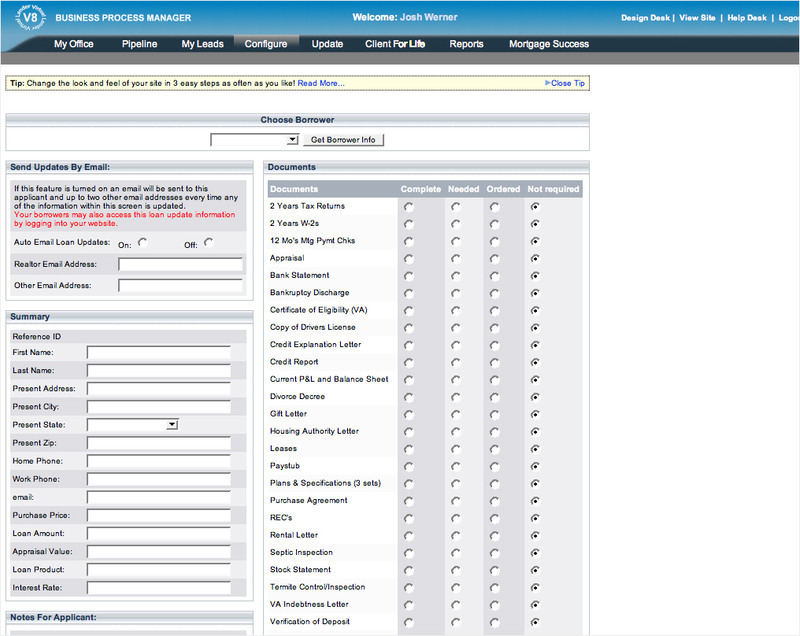 Choosing what features you want on your Virtual Lender® web site has never been easier. 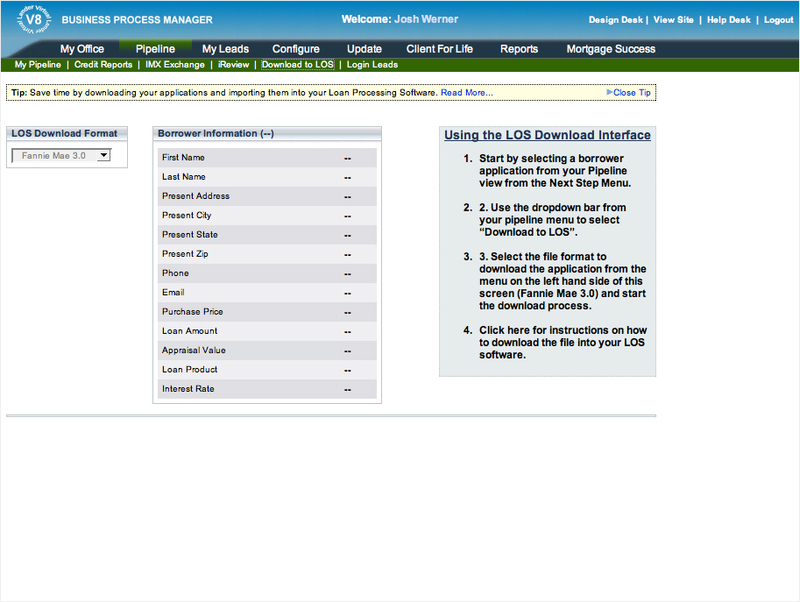 After setup of your site, you can log into your BPM and turn your Virtual Lender® features "on and off". 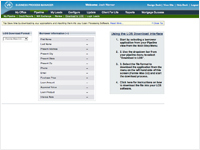 You can choose which calculators you want your borrowers to see and also which applications or pages you want your borrowers to use along with any other feature you would like to turn on or off. It is as simple as turning on a light switch! 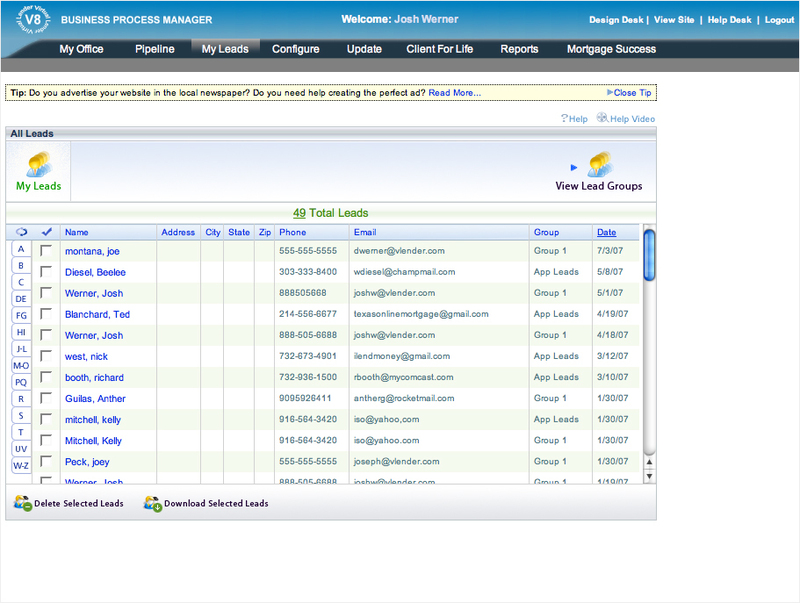 The My Leads Manager" area located in your Business Process Manager is the ideal tool to manage your On Demand Leads. 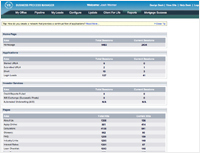 On Demand Leads are generated when a potential borrower visits your website and request a FREE REPORT. 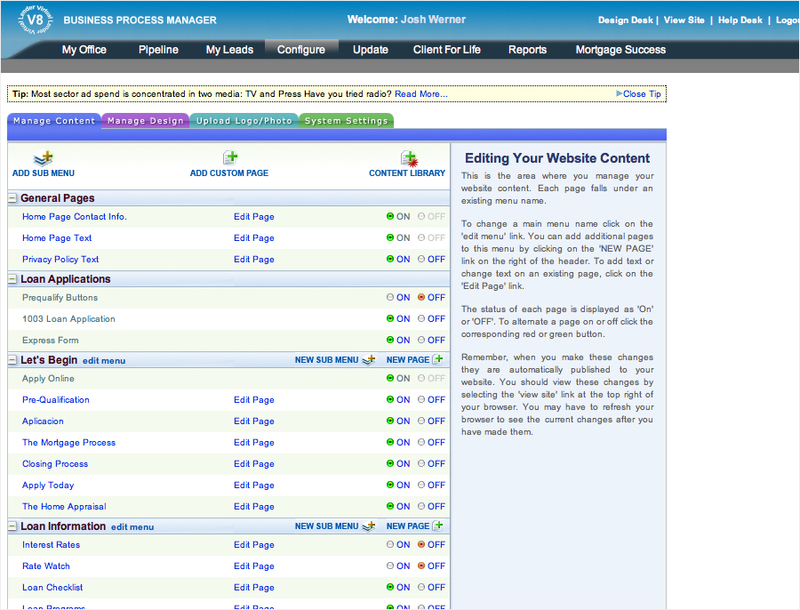 The My Leads area in the Business Process Manager gives you the ability to manage your leads by sorting or reporting on the reports you offer. Keeping your client for the entire life of their business is of the utmost importance. 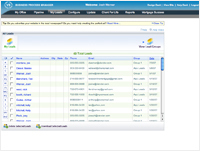 From your Client for Life back office utility you can track Loan Anniversaries, Birthdays, Rates and more! Through our Integrated Partnership with IMX Exchange you can reduce the time and cost required for search loan comparison pricing, and locking of your online mortgage transactions. 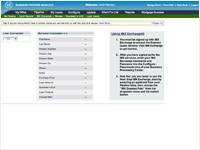 When you post loans from the Next Step area to the IMX Exchange, a large network of national, regional and local lenders bid directly on your loans. 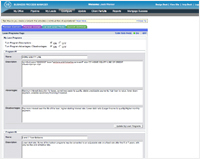 You can review pricing side-by-side, and lock the rate with the click of a mouse - all in real time! 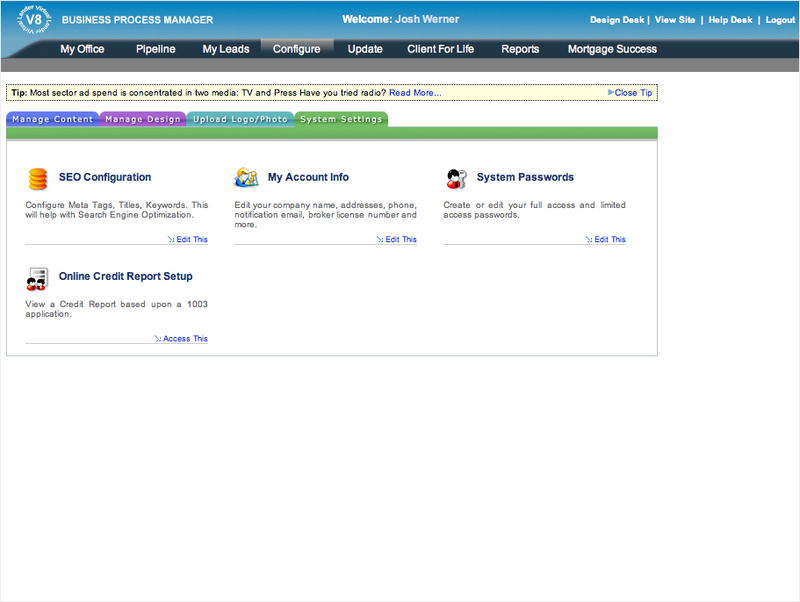 If a borrower simply log's into your application but for one reason or another does not complete the application the Login Data is stored as a lead for you! 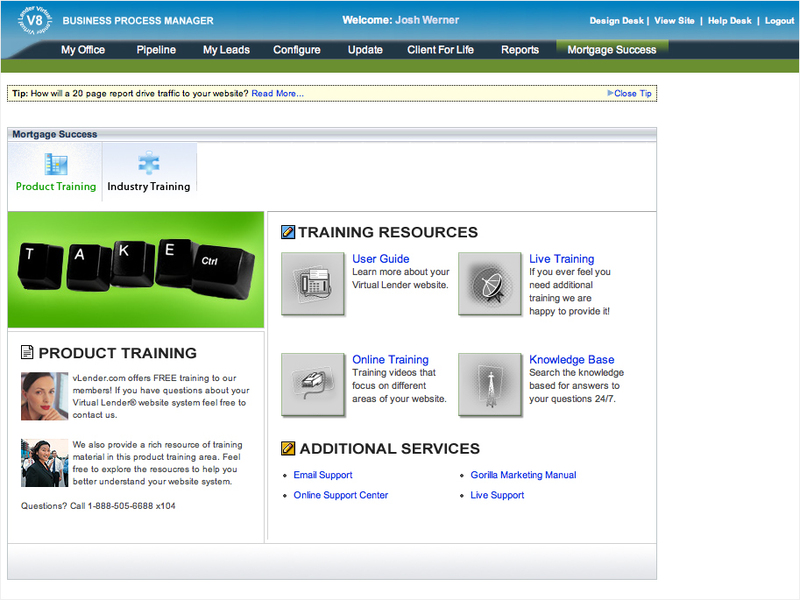 vLender.com offers FREE training to our members! 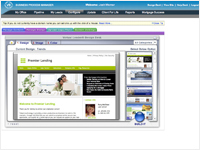 If you have questions about your Virtual Lender® website system feel free to contact us. 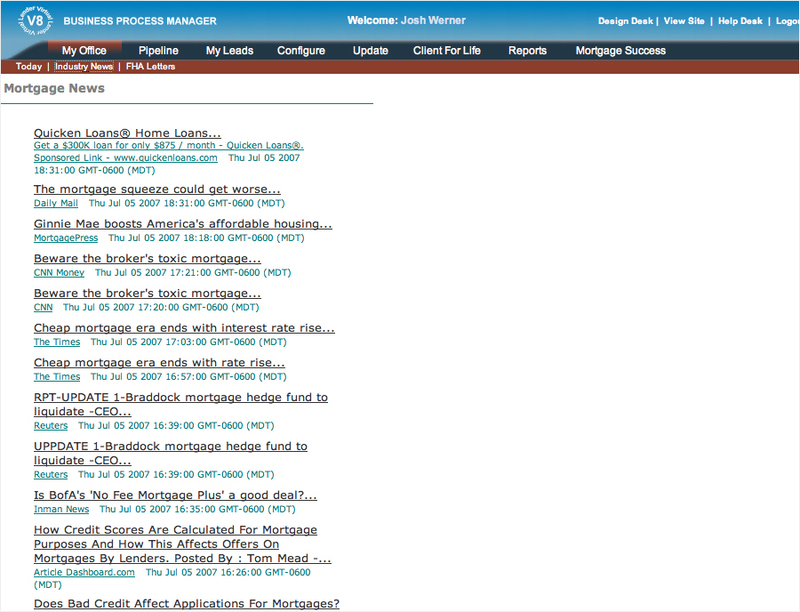 Access live mortgage news 24/7 from within your Business Process Manager. 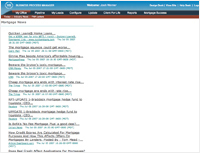 Stay informed of the industry's top news! 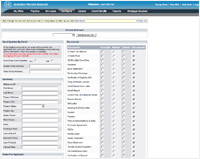 Not only is the Secure 1003 application included with your Virtual Lender® Website, but we have added the ability for the application to import seamlessly into major loan processing software. Saving you countless hours of having to re-input this data manually. 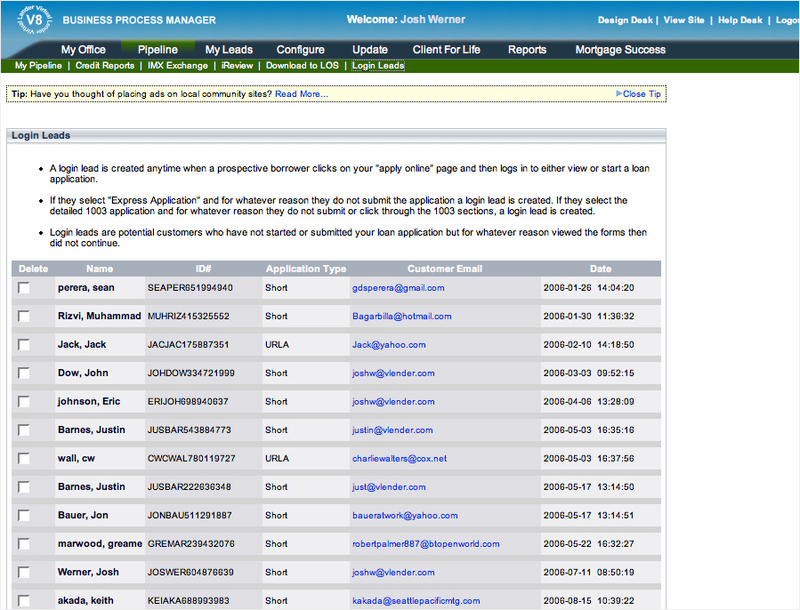 Downloading an application into your loan processing software is a snap! We have made it so easy that it can be done in a matter of seconds! 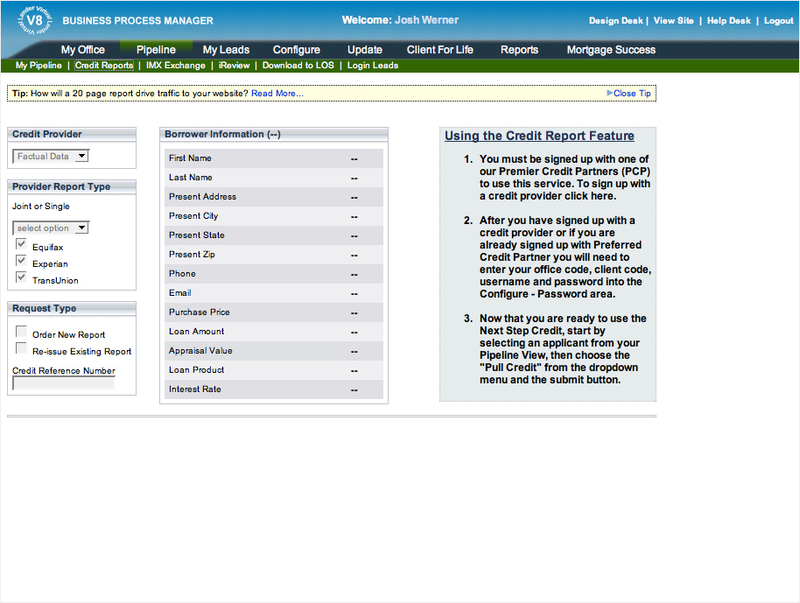 Pull Credit Reports from within your Business Process Manager (BPM) with just a click of the mouse. 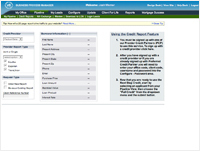 Once you have setup an account with Kroll Factual Data you can easily select an application from your pipeline and select the pull credit option to instantly access the credit report. 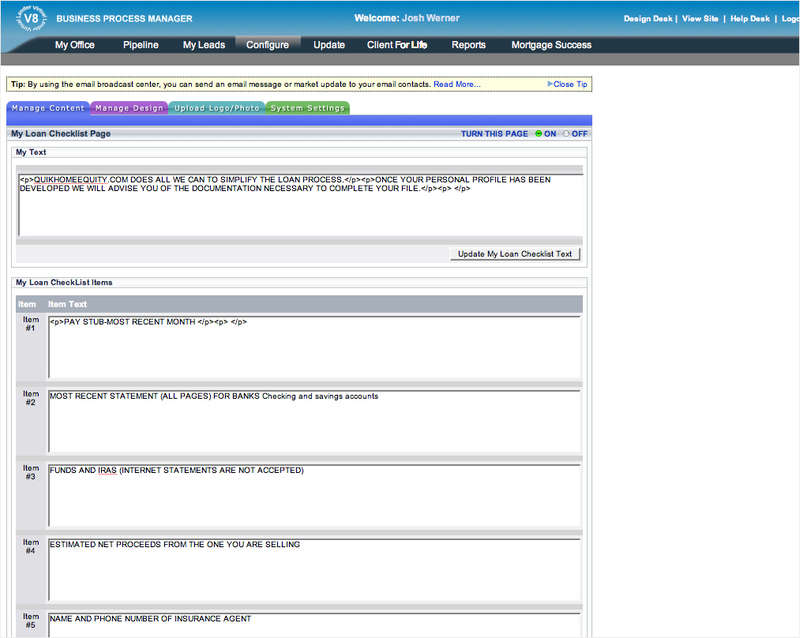 Generate thank you letters, send newsletters and market updates all with a click of the mouse. Use template letters that are pre-formatted. Save Time, Save Money! Your borrowers will love it! 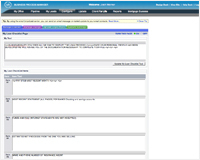 With your own email message center, It's easy to keep your Real Estate Agents, Clients, Affiliates and Associates updated on market news, events and communication. 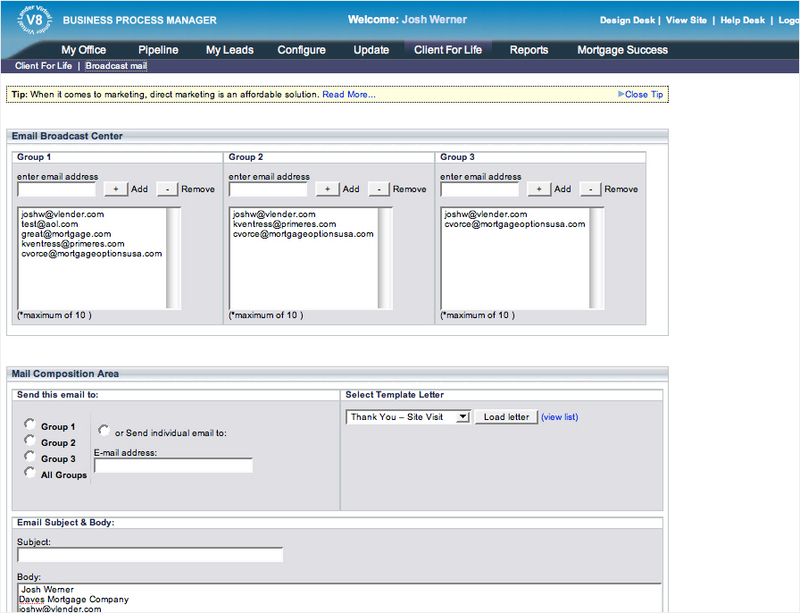 From any web browser in the world, you can log into your BPM and send email communications to your list of recipients. 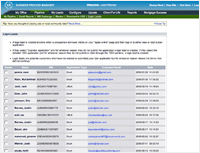 Your Virtual Lender® contains statistical information such as the number of Visitors and Current Sessions of your Virtual Lender® Website. 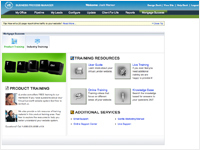 Access industry training classes over the internet. We offer Live Classes, Extended Classroom, Online Courses and Self Study courses. Updating Rates have never been so easy. 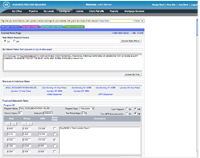 Simply select program and the Virtual Lender® software will generate APR's and instantly publish your interest rates to your website and provide a timestamp of the update. 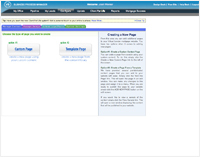 The Rate Watch feature is also launched from the Interest rates page. 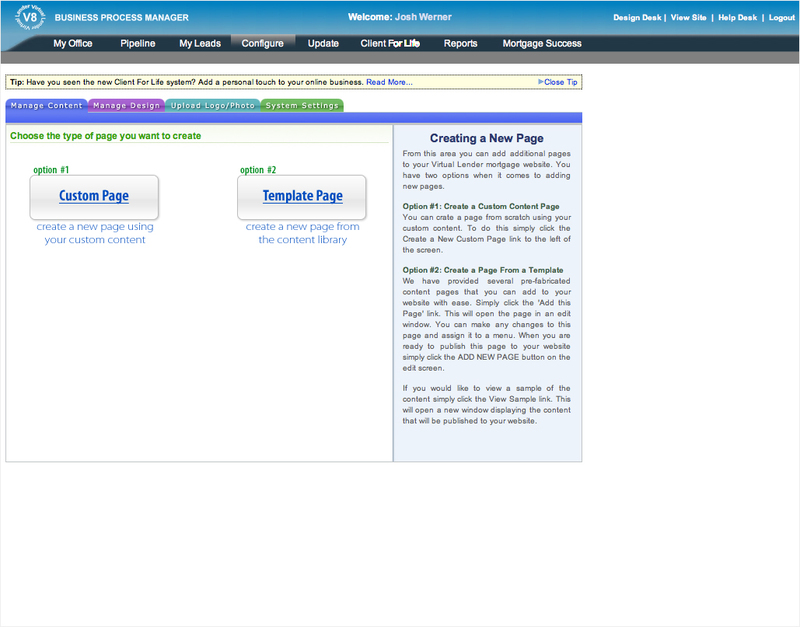 In addition to all the many pages that are included with your website (Pre-built) we have included the AnyPage Custom Page Builder a unique tool that enables you to construct unlimited web pages for your Virtual Lender® website. 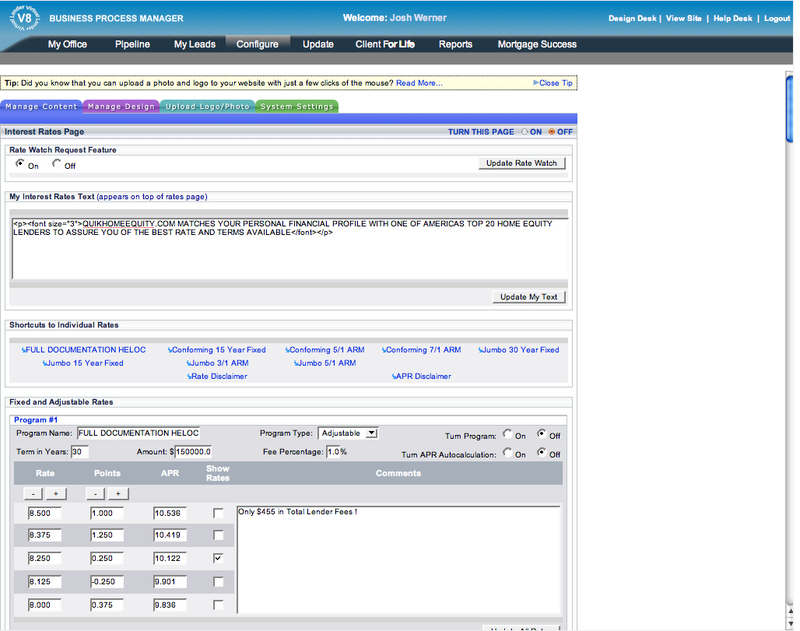 From this utility you can specify to your borrowers the items needed to complete the loan process. 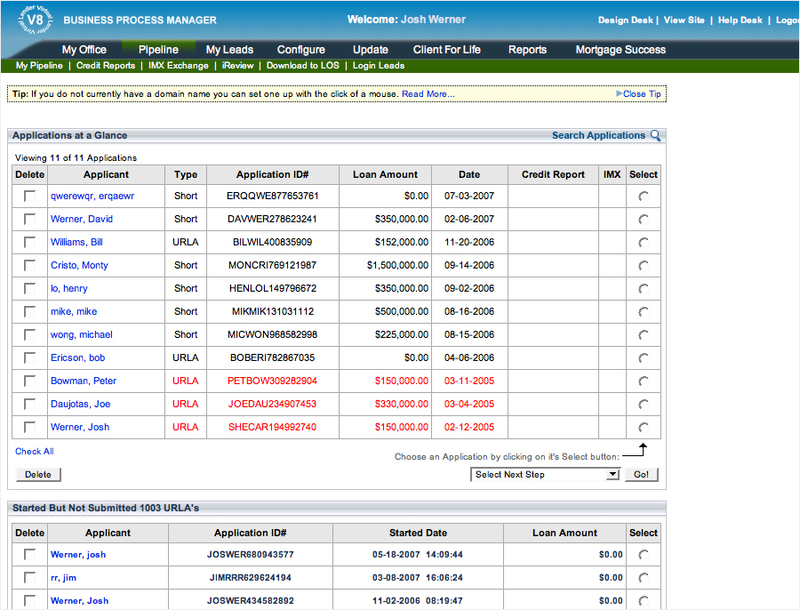 In a nutshell you can create a list of items such as W2's, Bank Statements etc. 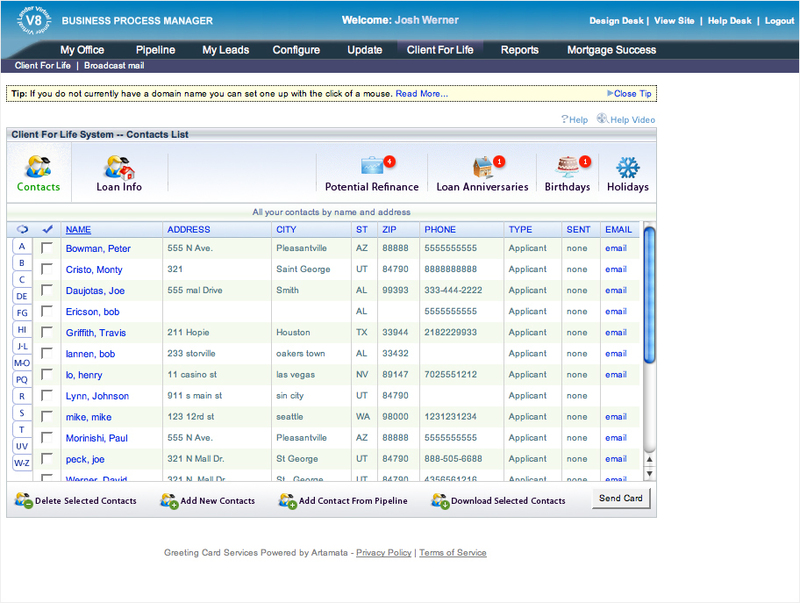 Your borrowers will be informed of all your loan programs through the Loan Programs Configure page Located within the Private Business Process Manager. After you configure your loan programs your borrowers will be able to go to your website and view all details relating to your loan programs! Simple and Easy to use! 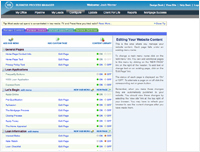 Provide the best Customer Service to your borrowers 24 hours a day, 7 days a week! 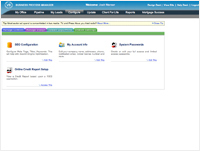 After your borrowers have submitted their application, your borrowers will be able to access their very own borrower loan update page. 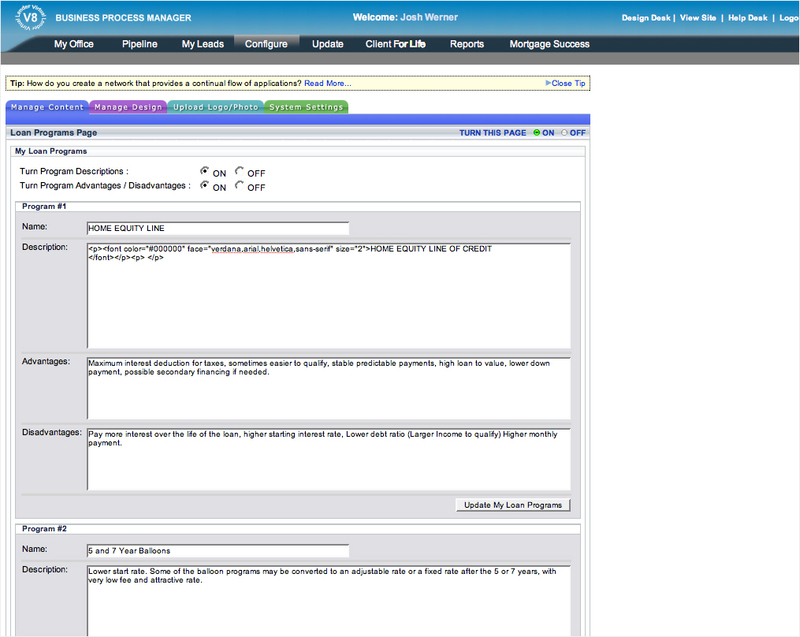 The loan update system is a database driven loan update tool that allows you to provide closing dates, file details, conversation notes, a documents needed checklist and more.